Bill O'Reilly appeared on Sean Hannity's Fox News show Tuesday evening, his first appearance on the network since he was ousted in April amid sexual harassment allegations. "I'm here, I'm alive, and the spin stops here," O'Reilly said at the outset of the first of three segments on Hannity's Fox News program. During the lengthy interview, O'Reilly and Hannity discussed a number of topics, including President Trump's war with the NFL, the supposed bias of the establishment media and O'Reilly's new "Killing England" book. The two media heavyweights also took aim at liberal media watchdog groups, with O'Reilly saying he "should have" fought back more aggressively when such organizations targeted his advertisers. O'Reilly was fired after a report in The New York Times revealed he, Fox News and network parent company 21st Century Fox had paid millions of dollars over the years to settle claims of sexual harassment and other inappropriate behavior made against him, all of which he has denied. The news, which came as the network was still reeling from a sexual harassment scandal that forced out former Fox News Chairman Roger Ailes, resulted in advertisers fleeing O'Reilly's show. Fox News ultimately decided to fire O'Reilly, not even letting him say goodbye to his audience -- the ultimate TV indignity -- after he'd served for more than two decades as the face of the network's primetime lineup. Nearly six months later, things have seemingly changed. Hannity's Tuesday interview with O'Reilly was promoted heavily by Fox News. A graphic that appeared at least once on the lower right-hand corner of the screen hyped O'Reilly's return to the network. A similar graphic on Fox News' website did the same. And the interview appeared to have taken place inside Fox News' Manhattan headquarters. 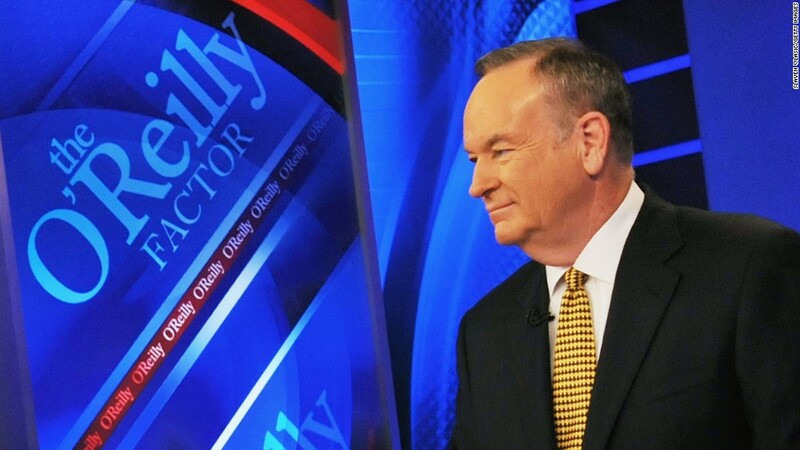 A Fox News spokesperson said that O'Reilly's appearance on the network was simply part of his ongoing book tour. The tour has taken O'Reilly to several media outlets, including NBC's "Today" show, and he is tentatively slated to appear on CNN later this year. But at the conclusion of his Tuesday night interview, Hannity invited O'Reilly back on his program, suggesting O'Reilly's could be a reoccurring guest. "Come back. Will you come back?" Hannity asked. "I'll come back," O'Reilly answered after joking the two were due for a fishing trip first. The fact that Fox News executives would permit O'Reilly to return to the network's air and let him use it as a platform to sell books only months after firing him struck some observers -- including people inside the network and at least one of the women who accused him of harassment -- as peculiar. It was not clear if Rupert Murdoch, who is currently serving as chairman of Fox News, personally approved the interview. Neither representatives for Fox News nor 21st Century Fox responded to requests for comment on the matter. "That's how it works at the boy's club," Wendy Walsh, who accused O'Reilly of sexual harassment, told CNN on Tuesday. "That's how it works." Inside Fox News, some employees also raised eyebrows about the interview before it occurred. "I question how serious Fox News considers the offenses for which he was fired if they are now giving him a platform to sell his book," a senior Fox News employee told CNN. "Talk about mixed messages." "This idea of not only bringing him back on our air but to be actively promoting [his book] is totally outrageous," echoed another employee. "What's the point [of firing him] if we're going to basically be welcoming him back with open arms?" One on-air personality who spoke with CNN referenced Fox News announcing on Tuesday that it had promoted several women as hosts. The person said O'Reilly's appearance served as a "net negative" that clouded the otherwise positive news. "On a day that should be about Fox celebrating female talent with Sandra Smith, Harris Faulkner and Dana Perino getting their own gigs, O'Reilly returning allows us to be talking about a period that is hopefully behind us," the person told CNN. A Fox News spokesperson did not respond to a request for comment on employees' feelings about the interview. Furthering the intrigue was the fact that Hannity and O'Reilly don't have the best history together. Two people familiar with the relationship between the two men told CNN that it was well-known inside Fox News that they did not like each other. One of the people said it was known staff should "never say anything good" about O'Reilly in front of Hannity. Another person familiar with their relationship told CNN that Hannity even continued talking negatively about O'Reilly several months after O'Reilly had been ousted from Fox News. Hannity all but conceded the two had not had a warm relationship while interviewing O'Reilly on his radio program last week. Hannity seemed to chalk up their history to the competition typical of the television industry. "We kind of were competitors and at each other's throats," Hannity told O'Reilly in the interview. "But I will say this: Since you left the channel, you and I have started having conversations and we realize I think that in many ways that it was a mistake on both our parts to think you were isolated on an island and I was isolated on an island." Hannity appears to feel that he and O'Reilly have both become victims of liberals looking to silence them, and have found some kinship with him over that. The two men also seem to understand they can mutually benefit from each other. O'Reilly needs a platform to promote his latest book, and Hannity is aiming to beat MSNBC host Rachel Maddow in the 9 p.m. ratings race. Hannity moved back to his old 9 p.m. time slot this week, putting him up directly against Maddow. On Monday, he beat her in both total viewers and the key 25-54 demographic. Hannity was hoping to defeat Maddow again on Tuesday, and bringing the former cable news king onto his program is sure to boost ratings. While O'Reilly appeared on Fox News Tuesday night to sell his book, it was unclear whether another former host would be welcomed back to the network to promote her book. Gretchen Carlson, who touched off a domino effect with a sexual harassment lawsuit that ultimately led to Fox News' ouster of Ailes, is releasing her book in October. A Fox News spokesperson did not respond to a request for comment about whether Carlson would be welcome on Fox as part of her book tour.